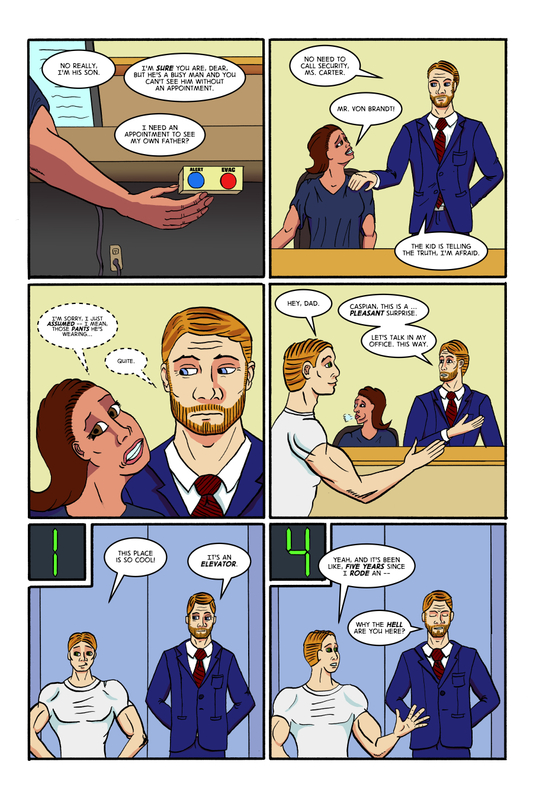 This comic was tagged Firecracker (Caspian von Brandt), Jeremiah von Brandt, pants, The Receptionist. There’s a touch of Picasso on this page. I had to go back to look at his pants on the page before! Very cool so far.